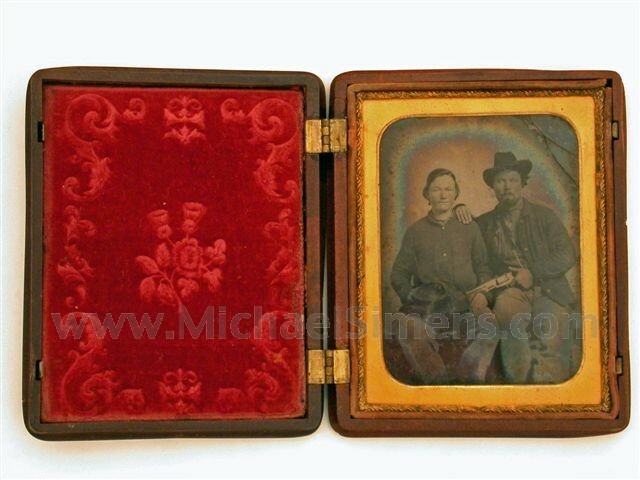 CIVIL WAR PHOTOGRAPH - AMBROTYPE WITH TWO SOLDIERS. ONE SOLDIER IS ARMED WITH A COLT DRAGOON AND THE OTHER UNDOUBTEDLY A WOMAN! This is a crisp and clear 1/4-plate image that shows some aging. These appear to be two soldiers and the reason I bought this image is that I have no doubt that the smaller of the two is a woman. History tells us that many woman not only travelled with their husbands and boyfriends, they often fought with them and many were actually mustered in, incognito. 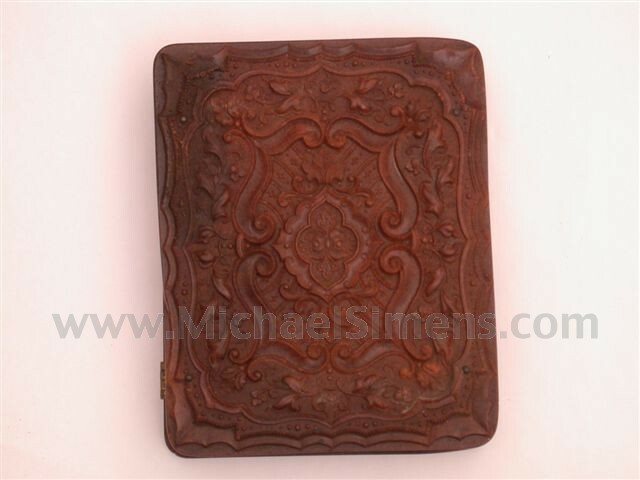 This is a very rare image with historical and interesting content considering the two subjects. 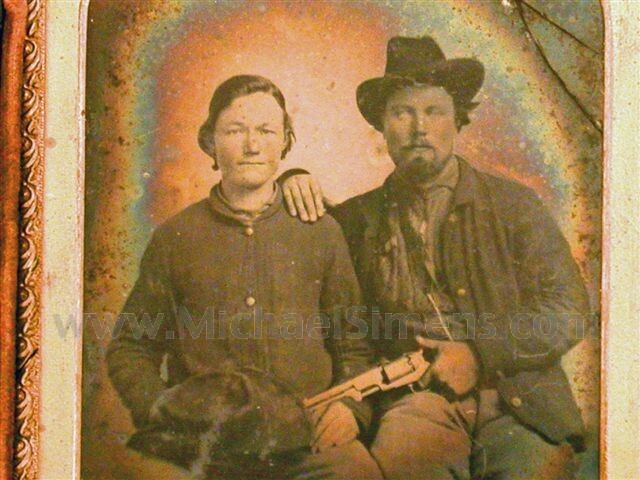 They look like Rebs and it appears the man is holding a Colt Dragoon apparently aimed at something under this woman's hat. I don't think it's a rabbit.